Request a Free On-Site Project Bid! 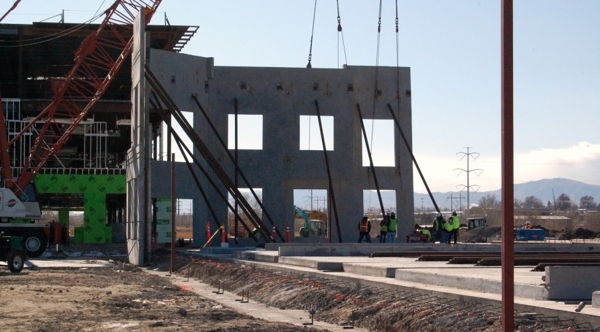 Welcome to Messerly Concrete LLC, the premier high volume flat floor and tilt-up concrete construction leader in the Intermountain area. Messerly Concrete Contractors places over 2 million sq. ft. of floor and tilt-up annually with flatness measurements exceeding FF-80 and FL-60 on average. We have over 200 combined years of concrete construction experience with several of our employees being TCA certified supervisors and ACI certified flatwork finishers. 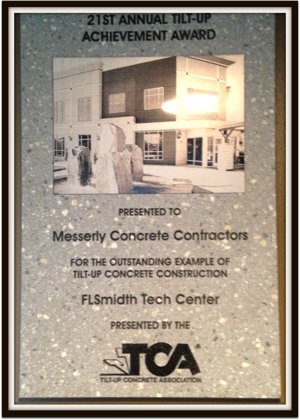 In 2012, we received the Tilt-up Concrete Association Tilt-up Achievement Award and the 2013 Associated Builders and Contractors Achievement and Safety Award! Our expert team have over 200 years of combined concrete construction experience and are well qualified to execute any concrete project on time and efficiently. Rest assured with Messerly Concrete LLC you're guaranteed the best quality at the most cost-effective rates. Call (385) 240-3664 for a FREE PROJECT BID! Copyright © 2018 messerlyconcreteutah.com All rights reserved.